Offering a variety of dumpster sizes, Team Clean and Haul can help you complete any project. 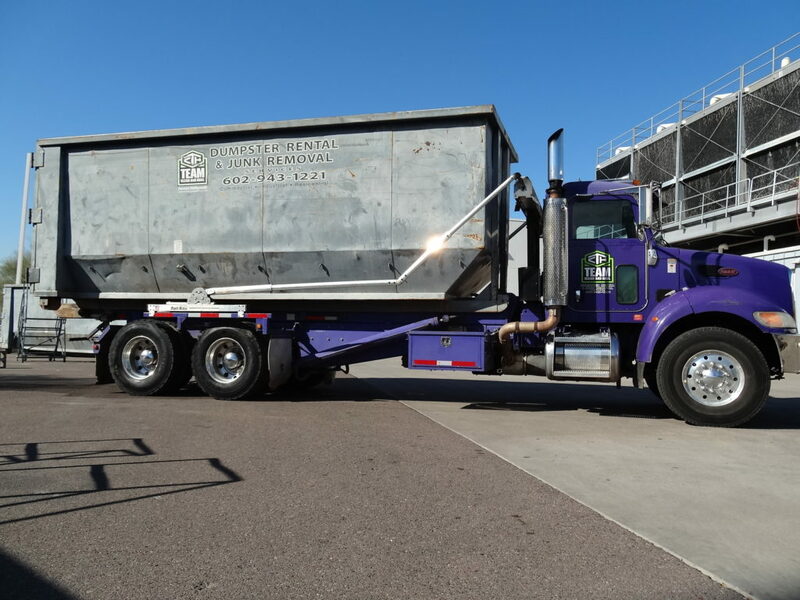 With Team Clean and Haul, you can be confident that your dumpster pricing is fair and that you’ll get top quality customer service when you rent a dumpster in Phoenix and the greater Valley. 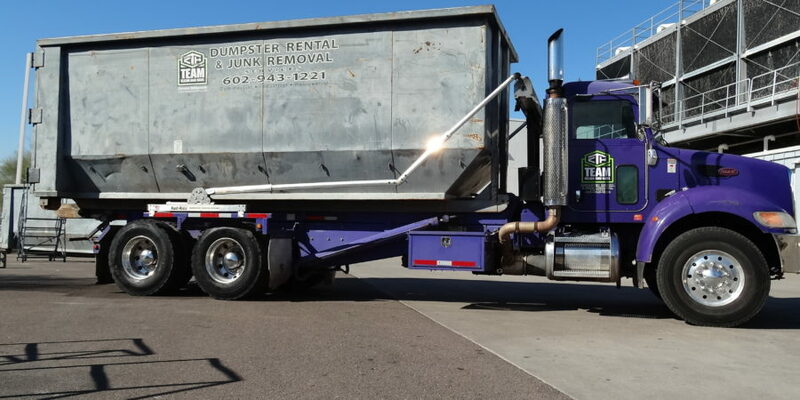 We know you have a lot of choices when it comes to Phoenix dumpster rental companies. That’s why at Team Clean and Haul, we focus first and foremost on customer service and competitive pricing to ensure your dumpster rental experience is efficient and cost effective. A family run company, we work directly with our customers to ensure they get exactly the dumpster rental they need and don’t overpay by getting a dumpster that’s too big or one that’s too small requiring multiple hauls and longer project timelines. At Team Clean and Haul, we set ourselves apart by offering a wide variety of dumpster rental sizes to ensure you have the correct size dumpster for your project needs. Regardless of your Phoenix dumpster rental needs, we have the right size dumpster for you. Our 10-cubic-yard dumpster is great for small cleanups or limited staging space. Working on new construction, demolition or major remodel? Go with our 40-cubic-yard dumpster rental to handle all your debris.